I can’t believe that it has already been a week since I shared my first changing faces post. The past week has been a busy one for the children, with Roo and Tigger returning to school and pre-school. Back to school, enjoying seeing her friends and teachers post-Christmas. Had her best friend over for tea, which they enjoyed playing with her Barbie Malibu House and Glam Camper. 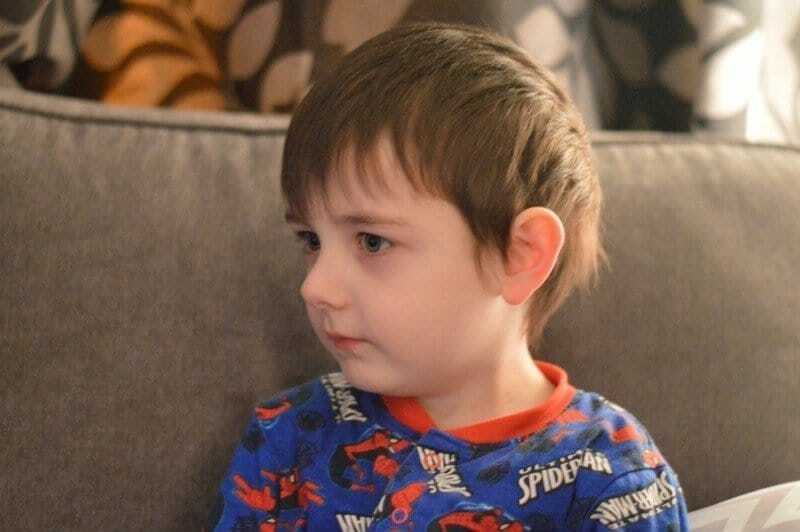 His love of all things superhero seems to have grown this week (the photo above was of him engrossed in watching The Ultimate Spiderman). What have your children been up to this week? I am really liking this series of posts. Nice way to keep track. My two only got back to school on Thursday, so I don’t feel we’re fully back to normal yet. Love the idea of Changing Faces. I bet you’ll see a huge difference by the end of the year.